Our organisation offer's Rust-Proof stitching wire that in high demand in the market. We offer rust-proof galvanised and copper coated flat stitching wires that are appreciated for their high tensile strength and corrosion resistance. These flat wire are used in corrugated boxes for stitching. Material: Electro galvanised, Tripple coated galvanised (Rust-free), made from best mild steel iron wire and process to suit every stitching. It is made from imported machinery with high accuracy in sizes, Coating and proper packaging. This wire run in stitching machine fluently and breakless. 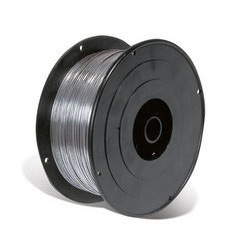 This wire also increasing the life of stitching machine and machine parts. Our products known as sun brand stitching wire. We are engaged in offering premium quality Electroplated Zinc Stitching Wire, which is extensively used by the corrugators. Our range is manufactured using graded mild steel and is properly coated with zinc by implementing electroplating process. Provided in bright finish, our range is appreciated for its economical rates and cost effectiveness. Our company is regisered in central Excise. The successful development of Rust-proof stitching Wires has given us the inspiration to manufacture stitching wires that meet the emerging needs of the corrugated packaging industry. With an experience of over a decade in the field and an enthusiasm to continuously develop newer and innovative products, D. F. Industries looks forward to a future as bright and shining as their stitching wires. Our unflinching adherence to quality and an unwavering commitment to service, has earned us the trust and confidence of an ever-growing number of corrugated box manufacturers in India and abroad.